Indian Eagle offers the cheapest last minute flights to Chennai India for the convenience of those who don't have the luxury of time to book tickets in advance. We have the best last minute flight deals to Chennai offering you incredibly low cost flights to Chennai. Now there is no reason to cancel your trip because of lack of cheap last minute flights tickets to Chennai as we have the lowest price guaranteed on all last minute flights Chennai. Book last minute cheap flights to Chennai at any time convenient to you as we provide low cost flights to Chennai all through the year! Ensure great savings on our last minute flight deals to Chennai at the cheapest price guaranteed. These flights are like a boon when you are in search of a way to reach Chennai due to some emergency. Just book some last minute flights to Chennai with us at Indian Eagle and know that you will not be charged extra for that. We are always here to help you with the cheapest price possible. WHY BOOK LOW COST FLIGHTS TO CHENNAI? Last minute flights to Chennai are always in high demand as this is one of the most popular travel destinations in the country. The capital of Tamil Nadu state, Chennai was formerly known as 'Madras.' It is the cultural center of the South, fondly referred to as the 'Gateway to South India.' Avail our last minute flight deals to Chennai and book last minute cheap flights USA to Chennai at amazing discounts. The city will not disappoint you with its rich historical past and countless places of interest to see when visiting on nonstop flights to Chennai from USA. Our last minute flight deals Chennai offer you the lowest airfare to Chennai guaranteed. Get best airfares and great discounts on our low cost flights to Chennai. Come explore this remarkable city and have one of your best vacations yet. 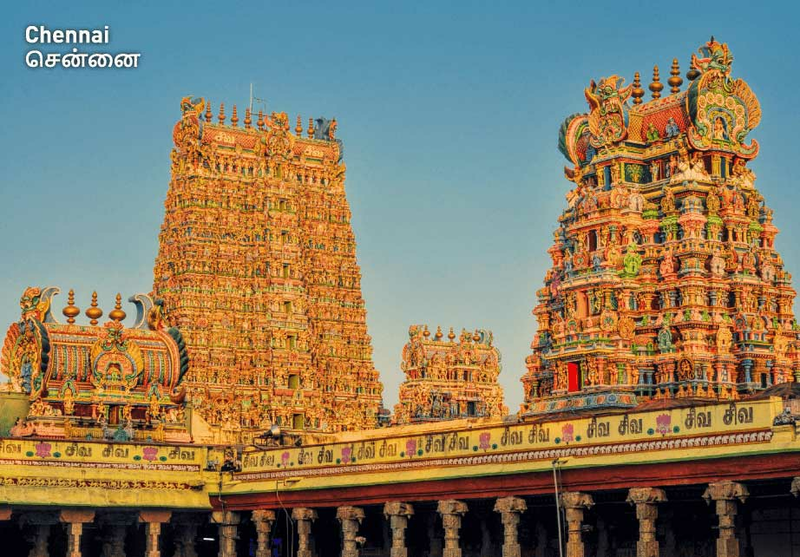 There are several other awesome destinations down South which you can explore as well when you're done touring Chennai. The charismatic city of Chennai has countless interesting places you can see when you arrive on last minute flights to Chennai. From iconic historical places and revered religious sites to pristine beaches and amusement parks, you will find all sorts of amazing places to visit here. Explore every inch of this remarkable city and be left mesmerized by how awesome it truly is! Avail our last minute flight deals to Chennai and book low cost flights to Chennai at unbelievable discounts. Explore the monumental Fort St. George, stroll along Marina Beach and enjoy a delicious plate of Dosa. If you're traveling with children, a great place to take them is the Anna Zoological Park. Home to around 3000 species of flora and fauna including several endangered species, this is one of the best wildlife parks in the country. Your low cost flights to Chennai will arrive at the magnificent Chennai International Airport, one of the best airports in the country. Major international airlines such as Qatar Airways, Jet Airways and Singapore Airlines among others operate cheap last minute flights to Chennai on a regular basis. The airport is well connected to other major Indian cities via domestic flights. So you have the option to book cheap flights to Mumbai or other cities. Avail our last minute flight deals to Chennai and enjoy great benefits! Book cheap flights to Chennai and come visit this amazing city. You can also book cheap last minute flights to Kochi as well which is another important destination in South India offering countless awesome tourist attractions to enjoy. We book cheap flights to other major Indian cities as well apart from these. You can even go for the bookings of last minute flights in case of emergencies as we never know when there is a need for last minute transport services. Indian Eagle understands this and is ready to help you with the bookings of last minute flights without any extra fee on it. We guarantee the lowest price on last minute flights to Chennai all through the year. We also book cheap business class flights to Chennai at discounted airfares. Our Eagle Deals offer the cheapest low cost flights to Chennai while our Secret Deals will inform you which airlines will be flying you once you confirm booking flights with our last minute flight deals to Chennai. We have a Reward Points System which helps you collect points as you book flights to Chennai and other cities. These points will make your next flight bookings even cheaper. So fly more and save more! Alternate dates are provided to make your one-click booking even easier. Make use of our service of being able to compare airfares when booking last minute flights to Chennai and find the cheapest possible flight for your trip. Hurry, book now!